Discussion in 'General Discussion' started by Alfalfa, Apr 16, 2019 at 4:53 PM. I'm sure you've heard of the report released today about the effects of Trump's tax cuts on business tax rates. Not only did many highly profitable companies pay $0 in taxes, but many got an astounding amount back! They are literally stealing the our money. Literally. But hey, they provide jobs! The Thriller and fishonjazz like this. Consider the swamp drained. Another campaign promise fulfilled by Trump. I'm sure Mexico will be writing us a 5 billion dollar check for the wall soon too. This is honestly crazy. If Trump wins another term, the top 1% will have ALL the money. You actually thought that MAGA meant racist things and not boosting the greatness of American industry? From what I understand, GM obtained their massive tax loss carry forward under Obama's special deal for them, when the government owned 60% and the union owned 17.5%. Reporting loss against profit isn't exactly tax avoidance now is it. NPC D4617 and moevillini like this. 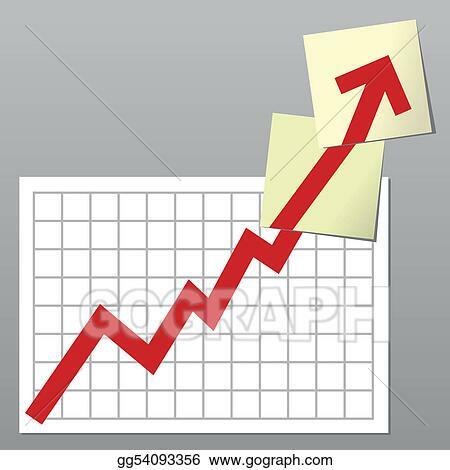 Its all good though, i mean ya these wealthy corporations are getting to keep more money than ever but thats a good thing cause that means they can give us all awesome raises! I got a 25 cent raise this year! My health insurance went up by almost 100 dollars per month and my mortgage increased along with basically the price on everything else so the 25 cent raise is actually more like a dock in pay. But at least i can work even more overtime than i already was to make up for the loss in pay! Yippee! The Thriller and Saint Cy of JFC like this. And all of those other companies that aren't GM? The CEO of the company I work for consumes around 15% of the entire payroll for one of the largest companies in the state. Bet yours is the same. They don't have money for raises after that! The Thriller and Alfalfa like this. "fast-food companies could pay $20 per hour minimum wages to all their employees - MacDonald's might not be able to do it and stay in business, but the good thing about capitalism is that someone else will find a way to do it - it's not like we have to worry about running out of hamburgers." Here’s how that works: imagine that I incorporate Badger Forge and value it at $10,000 – the value of the used scrap-cost of my gear. Badger Forge is now a legal entity, it’s just not worth very much. But, Badger Forge hires stable genius knife-maker Marcus Ranum, who agrees to work in return for stock! For just 50% of the shares in Badger Forge, Marcus Ranum will come work there and make messes on the floor. Badger Forge issues a press release (on Instagram) declaring that Marcus now works there! Badger Forge, declares that its hiring of Marcus Ranum makes the company worth $100 million! Marcus’ shares are now “worth” $50 million but Marcus owes no tax on the shares unless he somehow sells them. See how that works? If Marcus holds the shares for more than a year, the tax-rate on any profits he realizes on the shares is capped as capital gains. In the meantime, Marcus can drink Cristal and drive a Lamborghini if – and only if – he can find a bank that is stupid enough to buy those shares. But, if Marcus is like Donald Trump, what he does is goes to Deutsche Bank and borrows $10 million (in real cash!) against the value of the $50 million Badger Forge shares. The $10 million is put in a Grand Cayman bank account and some of it is used to buy Lamborghinis and hookers, propane and a new lathe, and the rest is used to pay the debt service to Deutsche Bank. That’s illegal – that part about using borrowed money to pay off a loan – so if I was Donald Trump I’d get another loan using my $100,000 CNC milling machine (bought with the $40 million) and use that money to service the debt. When was the last time you looked corporate tax receipts and calculated % of federal level and % of GDP? Whitehouse.gov has some downloadable tables that are very useful and insightful. Google federal budget + pick a year and you'll find them easy enough. I've never looked. Sounds like you have. Can you summarize?